To fill 49 Executive Engineer (EE) & Deputy Executive Engineer (DEE) Posts in Gujarat Engineering Service, Class-I & Class- II, Gujarat Public Service Commission has issued GPSC Recruitment 2019 Notification @ gpsc-ojas.gujarat.gov.in. Check Gujarat PSC Vacancy 2019 details. Know the Eligibility Criteria before applying for Gujarat Engineering Services Jobs 2019. The Last date to submit the GPSC Executive Engineer Recruitment 2018 Application form is 31/12/2018. Other details about GPSC Dy Executive Engineer Notification 2018 like Age Limit, Qualification, જીપીએસસી એક્ઝિક્યુટિવ એન્જિનિયર Selection Criteria, Salary, How to Apply, etc are shared here. This is a good job opportunity for those candidates who are looking for Gujarat Govt Jobs. Recently, Gujarat Public Service Commission has released GPSC Recruitment 2019 notification to recruit the eligible candidates for EE & DEE Vacancies. As per the official GPSC DEE Recruitment 2019 notification, there are 49 vacancies available for Executive Engineer, Deputy Executive Engineer posts. In regard to this, Gujrat Public Service Commission invited GPSC Dy Executive Engineer Recruitment 2019 applications from the candidates who have completed their Graduation from any recognized Institute or University. 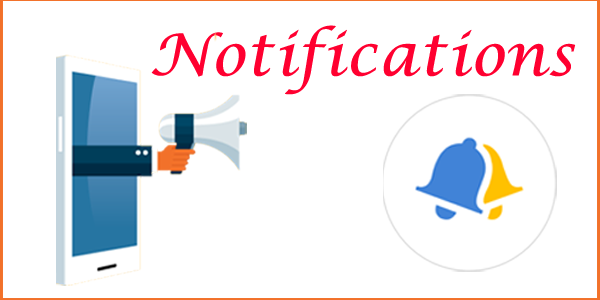 GPSC Executive Engineer Recruitment 2019 Notification provides a cool chance for those candidates who are looking for Sarkari Naukri. So, grab this excellent job opportunity & apply for GPSC Engineering Service posts for Road & Buildings Department before 31st Dec 2018. Full details about Gujarat PSC Recruitment 2019 Notification like Age Limit, Educational Qualification, Selection Process, Salary Offered, Important Dates, Links to Apply, etc. The important parameters which candidates have to possess in order to apply for 49 gpsc-ojas.gujarat.gov.in Engineering Service Vacancies are as follows. The age limit of the applicants should be in between 20 to 35 years to get eligible for GPSC Vacancy 2019. As per official GPSC Jobs 2019 Notification, upper age relaxation is applicable to the reserved candidates. Must Possess B.E/ B.Tech in relevant discipline from a recognized university to apply for GPSC Executive Engineer Recruitment 2019. Candidates should have adequate knowledge of Gujarati and Hindi. Should possess Basic knowledge in computer application. In addition to the eligibility criteria, get further details of GPSC Executive Engineer Jobs 2019 Notification like Application Fee, Selection Process, Salary Offered, Important Dates, etc. The fee payment for GPSC Jobs 2019 can be done through Online/ Offline mode (Post office challan). Selected candidates for GPSC Executive Engineer Recruitment 2019 will get a good pay scale as per the rules. For Executive Engineer Posts: Rs.67, 700 to 2, 08, 700/-. For Deputy Executive Engineer Jobs: Rs.53, 100 to 1, 67, 800/-. The GPSC Recruitment 2019 Apply Online Link will be available from 15th December 2018 to 31st December 2018 @ gpsc-ojas.gujarat.gov.in. Candidates who have met the eligibility criteria can apply for GPSC Dy Executive Engineer Jobs on or before the due date. Follow these simple steps to fill GPSC Executive Engineer Vacancy 2018 online registration. Click “View All” tab under the current advertisement & Select Advertisement by the department wise. Click “Apply” link near to the relevant GPSC Executive Engineer Recruitment 2019 notification & Again press “Apply Now” tab. Press “Skip” and fill all the relevant details in GPSC Recruitment 2019 Application form without mistakes. Tick the assurance box and save the filled details in the GPSC Deputy Executive engineer Recruitment 2019 Application form. For Offline payment, candidates can use Post Office Challan to the remit application fee. Take the printout of the submitted GPSC DEE Recruitment 2019 application form for future reference. We have shared the full details of GPSC Recruitment 2019 Notification for the reference purpose only. In case, if you have any queries, refer the official GPSC EE DEE Recruitment 2019 Notification Pdf attached below. Keep visiting our page RRB Recruitment for more job opportunities.